Berkshire Hathaway HomeServices Georgia Properties is pleased to introduce our SURGE program for Business Planning and Lead Generation. 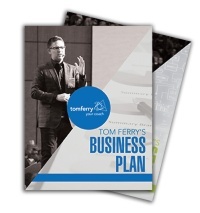 We have a Strategic Partnership with the Tom Ferry organization and will be leveraging the latest "best practices and innovations" to Work Smarter in 2016. If you would like to learn more, contact us at 404.372.7791 today!